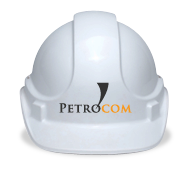 Petrocom is committed to safety in the workplace and has incorporated an extensive health and safety program. Together our field staff and corporate safety officer ensure all areas of the company are implementing this program, keeping our work sites safe for the public, sub trades, suppliers and our employees. Petrocom is certified through Alberta Construction Safety Association (ACSA) in meeting and maintaining our Certificate of Recognition (COR). All of Petrocom's Site Superintendents are certified as National Construction Safety Officers (NCSO), through the Alberta Construction Safety Association (ACSA). Petrocom is registered in the Partners in Injury Reduction (PIR) program. Petroleum Oriented Safety Training (POST) has been implemented by the major oil companies in Canada. Together the majors and the Canadian Petroleum Contractors Association (CPCA) are striving to acheive a consolidated approach to Behavior Based Safety (BBS). Petrocom is a member of the CPCA and are strong supporters and believers of this approach to safety. All of Petrocom's sites are based on this standard, in regards to safety for our employees, sub-contractors and the public.